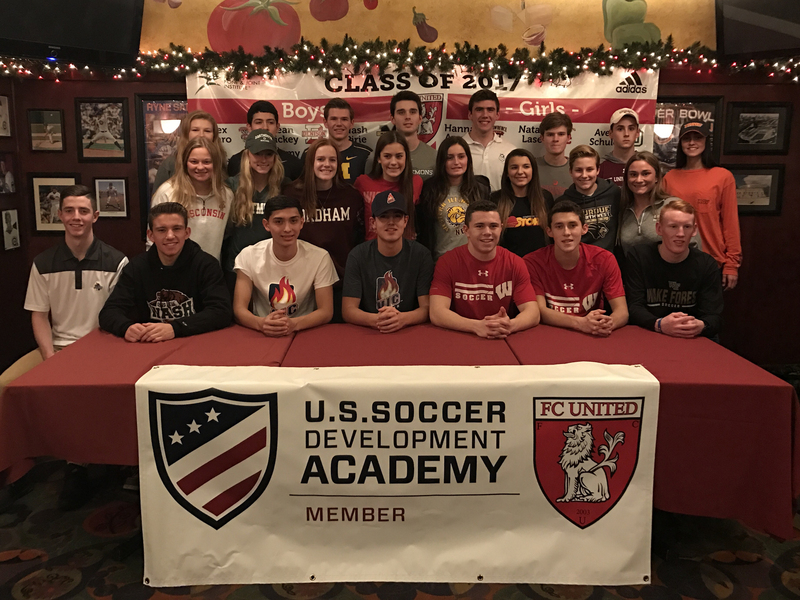 Twenty-five players from FC United Soccer Club made their college commitments final by signing National Letter of Intents on Wednesday, February 1, 2017 at Pizano's Pizzeria in Glenview. Craig Snower, FC United Girls' Director said, "We are extremely proud of these athletes. It's clear that each player has committed to a college or university that best fits their soccer and academic goals. Just look at the diverse range of schools they are attending. We are honored to play a part in this important decision and look forward to seeing what they do in the future." "This was an exciting day for all of us at FC United," said Baer Fisher, FC United Boys' Director. "We were able to honor our players who will be continuing their playing careers at the collegiate level. We are so proud of our players for their hard work, determination, and persistence both on and off the field. Many of these players have played in our program for multiple years, so watching them grow both as soccer players and young adults has been incredibly gratifying. We look forward to supporting them as they transition to their respective college programs this fall." 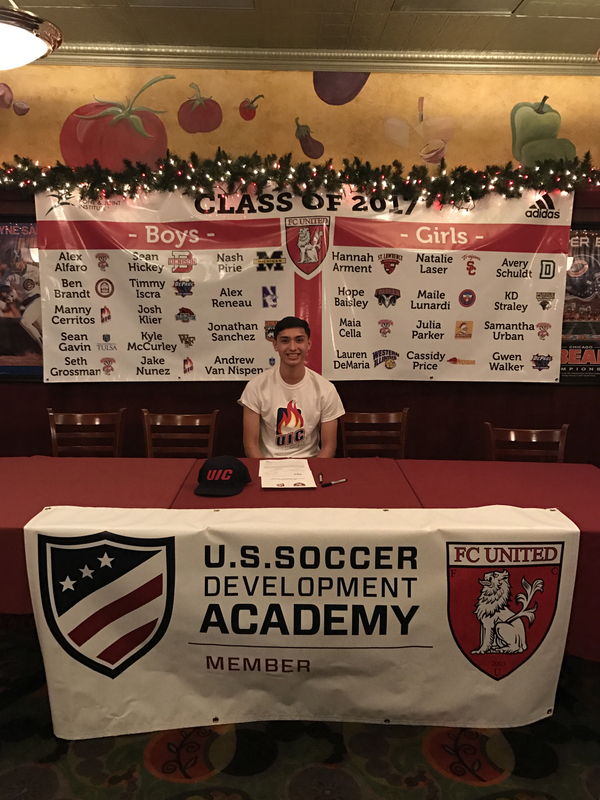 The following FC United collegiate-bound players were honored at the event. FC United Soccer Club has been producing collegiate level student athletes for the last 13 years. About FC United Soccer Club: FC United Soccer Club is Chicagoland's leading competitive youth soccer program for players 4-18 years old. FC United Development Academy, Trevian SC, Titans FC, Spartan FC, FC Hawks, Chicago Magic, and Trevian Academy are affiliated with FC United Soccer Club. We are dedicated to providing an environment which fosters a passion for soccer. By building a sense of teamwork, confidence, fitness, and individual skills, players in our program will achieve success both on and off the field. We look to strengthen our young people through a competitive atmosphere that breeds proper technique, ball movement, relationships, teamwork, and discipline.